This could be one of the more controversial articles I have written; and it revolves around the common notion that if we all drive our cars at horse-and-cart speeds, there will be no speed-related deaths on the road. In fact, not many years ago, I remembered listening to a debate on the radio whilst driving home from work on the merits of adopting much lower speed limits throughout the whole of Adelaide including the placement of more speed cameras, speed bumps and chicanes to further slow traffic down. Now maybe it’s just me, but I’ve never directly come across or spoken to someone who really supports this. Maybe they just don’t say. I don’t know. Quite unjustifiably, I then start to form stereotypes in my head of who these people might be like, including what they do and what they look like. I’ll refrain from doing so in case I might offend someone. I am; however, fairly certain that they all either do not like cars or do not like driving cars and that everyone should either use public transport, cycle or walk. On the subject of dispelling any stereotypes about me, I’ll share some of my attributes: a forty-something regular-working family man who drives an ordinary sedan car back and forth to work with a preference to using public transportation or to cycle if it is convenient. For many of us; however, public transportation is simply not convenient and cycling has its own hazards. A few years ago, I lived in a location whereby it was possible to cycle to work. I probably cycled about fifty-percent of the time; however, in that 2-year period, there were three instances of very near collisions all due to manoeuvring around parked cars in cycle lanes. The odds did not fair well. I’ll also mention that I used to commute to work by motorcycle along a 40km stretch of motorway between Warwick and Solihull in the UK; however, as most motorcyclists will be aware, riding in inclement weather conditions is, at best, hazardous and generally unpleasant. What sparked me off on writing this article was a memory I had when I flew from Australia to Germany to attend a funeral. I arrived in Frankfurt on a dark dreary rainy evening, hired a car, proceeded on to the on-ramp of a section of the Autobahn undergoing construction work during busy conditions and in the wet. 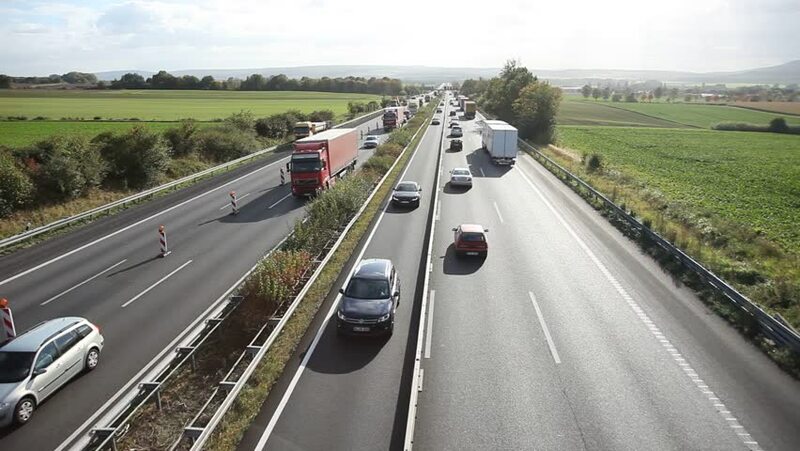 Now if you have had any experience of driving on the Autobahn, you will know that it is not simply clicking on the cruise control, maintaining a consistent speed and casually driving along as if you’re on autopilot. You’ll also know that it is wiser to keep your eyes on the road and other cars rather than constantly checking your speedo. The police are far more likely to clobber you for bad and reckless driving rather than for speeding. Construction lanes are a far cry from what we’re used to here in Australia. Narrow lanes, and I mean almost scraping against-the-side-of-your-car lanes, with a speed limit of 80 kmph is not uncommon; whereas, in Australia, you’re more likely to fall asleep at the wheel forced doing 25 kmph along a wide lane supposedly under construction, meaning its quite likely you won’t see anyone working on the road while you’re there. Anyway, after living only one year in Australia, I proceeded carefully along the Autobahn with its construction lanes, gingerly negotiating the gauntlet of concrete barriers whilst trying to ignore impatient local drivers nudging worryingly close to the tail of my car. I could practically see the frustrated Teutonic frown staring at me through the rearview mirror. Along with the wet and dark conditions, I really struggled to maintain pace with the other cars and felt that I was approaching the limit of my driving ability. In essence, my driving skills had become ‘de-trained’ in less than a year. I had lost the ability to cope with faster speeds due to living in an environment of snail-paced conditions in Australia. We’ll exclude the Northern Territory, of course. They have other issues, mainly crocodile-related. Unfortunately, not everyone possesses, or will ever possess, good driving skills. I know of a friend-of-a-family who had to take her UK driving test something in the order of two dozen times. I’m not kidding. Not surprisingly, she very rarely drives, if at all. She, no doubt, experiences heart palpitations before she even opens the door to get into the car. My father, on the other hand, is an exceptionally good driver. From a fairly young age up to his 60s, his skill and handling of cars was top-class although some would say that he might have driven a little too fast for backseat passenger comfort. I remember an occasion when my younger sister and I were passengers in his Jaguar XJS on a twisty bit of road between Brecon and Merthyr Tydfil on our way from Barmouth to Cardiff in Wales. My sister swiftly delivered retribution in the form of a ‘three-dimensional’ belch which nicely enhanced the light beige leather interior of the cabin. But here’s the rub. He absolutely knew his skill limits and his vehicle’s limits. These days, he drives far slower (allowing other cars to pass by safely at the earliest opportunity), not because he is forced to by a posted speed limit, but because he is cognizant of his driving abilities. Now this is the interesting thing, at least it is for me. We are legally allowed to drive (at least in Australia) with a blood alcohol content (BAC) of 0.05%. Roughly put, for an average man, that’s about 2 standard drinks in the first hour and 1 standard per hour thereafter. That’s quite significant, considering that we are unleashing more than a tonne of moving metal on our roads driven by a general population with an average IQ of 100 (meaning, mathematically, that there must be a considerable number of drivers with a far lower IQ let loose on the roads) with virtually no formal driving training once getting the driving licence. Let me ask you. Would you rather have a driver on the road going in excess of the speed limit, or a driver who’s tipping on the line between legal and non-legal on BAC? I know which one I’d choose. Here’s the other issue. Once you get your car licence (easy for most of us; if not, might be worth rethinking if you should be on the road in the first place), that’s pretty much it in terms of training. After that, all you have to do is turn up at your driving authority office every 10 years or so to get it renewed (except in the UK where you don’t have to do anything at all until you’re 70) by a simple eye check along with a fee to bolster the state’s coffers. Obtaining a licence to ride a motorcycle is considerably harder, and justifiably so, as it certainly requires a far higher skill level in terms of technical ability and knowledge of your surroundings. I will never admit to being a great motorcycle rider, and this is probably a common sentiment expressed throughout the motorcycling community. However, many car drivers will openly admit that they are far better drivers than others. I’m fairly confident that a motorcycle rider behind the wheel of a car is far more cognizant of his or her surroundings than someone who’s never ridden one. As for pilot licences, getting a licence is not easy at all and you have to fly a minimum set of hours every two years and have a regular periodic medical examination. I know this because I did my private pilot’s licence although it has long-since lapsed. 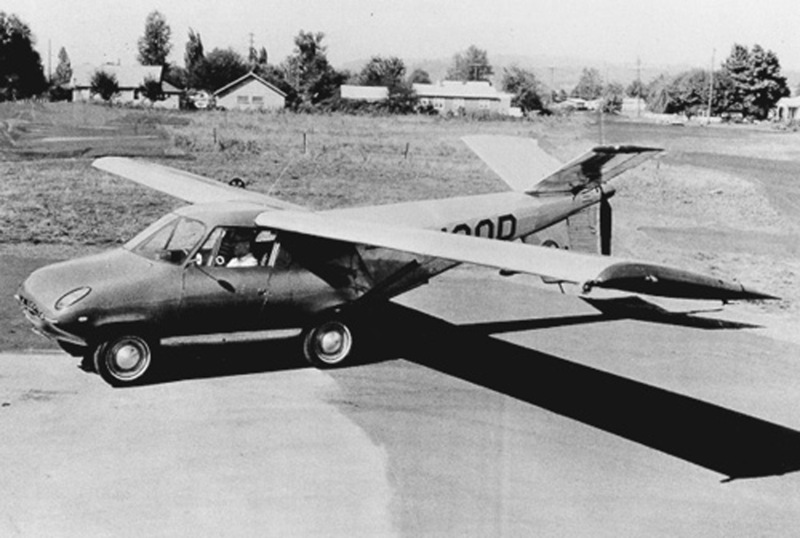 Thankfully, I don’t believe we will ever see the general public taking off in flying cars (Jetson-style), although a valiant attempt was made back in the 50’s with the Moulton Taylor Aerocar complete with detachable wings. I wouldn’t mind having one, though. Would you? Another factor often not considered is driver stimulation. Road design is one way to improve this; for example, along some of the older motorways in the UK (like the M1), you will find a number of straight stretches. On newer motorways (for example, the M40), road design deliberately excluded long straight sections to reduce the chance of a driver dozing off in a trance. This happened to me during my late teens whilst driving (albeit very late at night) on a lonely Welsh road between Shrewsbury and Dolgellau. Just 10km before reaching my destination, I slowed down to 50kmph (30mph) on a long straight stretch of road through the village of Llwyngwril, notorious for its over-zealous resident policeman plod hiding around the bushes looking for victims exceeding just 1 or 2 mph over the limit. At least he had the courage to step out in the middle of the road and directly reprimand the speeding violator unlike the cowards who sit quietly in their unmarked cars taking snapshots with their radar cameras. I admit that I was tired but I ‘lost the will to live’ driving at 30mph and fell asleep at the wheel while the 2-tonne Rover V8 with its 2-tonne trailer of music gear veered, almost gracefully, into the unrelenting Welsh stone wall lining the road down the village. I woke up and, somehow or another, managed to park the vehicle neatly along the kerb on the other side of the road. It was done so gracefully, that, in fact, my stepmother in the front passenger seat then gently woke up and asked if we had arrived at home yet! The whole of the right-hand-side of the car was totalled beyond recognition but no injury at all, thanks to the tank-like build of the car. 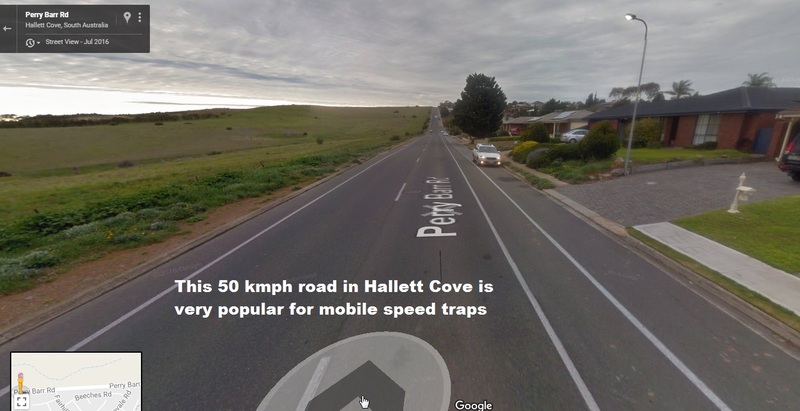 In Australia, 50kmph is generally the limit for unposted residential streets; however, you will only find speed traps on those safer wider stretches of 50kmh road in which ‘speed creep’ is all too easy. 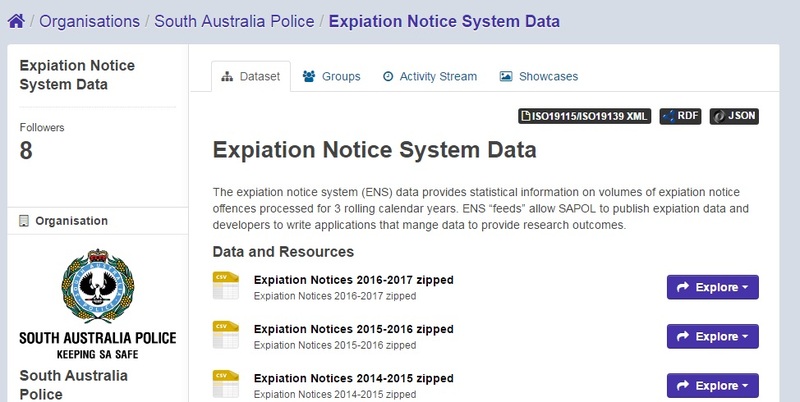 I know this because, amazingly, South Australia publish all expiation notices at https://data.sa.gov.au/data/dataset/expiation-notice-system-data and being, somewhat of a data-warrior, I analyzed it with much interest. Most people, including me at first, believe that hidden cars with speed cameras are placed ad-hoc randomly. But, in fact, each mobile camera location is given a unique 4-digit numeric identifier (yes, there are more than 5,000 of them as well!) and, out of many sample batches I took, every one of those locations are not on streets which are genuinely unsafe to drive fast, but on streets where it is too easy to speed on. Geeky, I know. Continuously lowering speed limits to the point where we will all be going the speed of a cyclist (which can happen quite frequently in Adelaide) is not the answer. The more we get used to slower and slower speeds, the less we are able to cope with faster speeds when required. So what alternatives can we adopt instead of clogging up our roads with back-breaking speed bumps and continuously battering drivers for speed infringements by, what I consider cowardly methods of, snapping pictures of registration plates from unmarked cars? Better and regular training would be enormously beneficial. The introduction of regular driving training along with an incentive to reduce your insurance premiums has been put in place in some countries but it is seldom practiced. Stricter limits on drinking alcohol. Pilots are not allowed to have more than 0.04% BAC and they are not allowed to drink any alcohol 8 hours prior to flying. Should it be any different for automobile drivers? There’s no way I would be happy to ride a motorcycle after just one drink. Power limitations on newly-qualified drivers. For example, newly-qualified motorcycle riders are restricted to motorcycles to a certain power-to-weight ratio for a set period of time. A newly-qualified automobile driver can jump into a Bugatti Veyron and start driving right away. Imposing a lower speed restriction is not enough. It’s the sheer power of the car which can catch a newbie out very quickly. May not be so straightforward but an idea all the same. For example, in the circumstance of a ‘hand-me-down’ old V8 passed down to your newly-qualified 18-year-old. So many better ways to harvest safer drivers, but no, we are morbidly obsessed with setting lower and lower speed limits ultimately to eradicate the thrill of driving once and for all. And don’t get me on to driverless cars…. And finally, what’s with the Safety Fast title of the article? Back in the middle of the last century, M.G. cars had a striking slogan called Safety Fast, perhaps with the thought that their cars could be driven fast and safely? In any case, here’s a great link to an old Pathé video depicting a time where driving was not only necessary but thrilling.